Winning- isn't that the best feeling? Ok, ok, we're supposed to be in life for the experience... but is it so bad to enjoy the winning experiences??? I for one get high on that feeling and it shows in my addiction to contests. Contests, sweepstakes, online, instore, wherever- whatever. Do I spend a lot of time entering? You betcha. Do I get a lot of stuff I'll never use? You betcha. Will I ever stop? JU SO FONII !!! The joy of getting something free-( also why I am an avid couponer, but that's for another time) and that your name was picked above countless others, that if only for the instant of picking, you are special. The knowing that the Contest Gods smiled upon you and that you're in their graces is a feeling like no other. As Tata says, "No hay dinero como el dinero ganado." She's so right, "There's no money like money won." because everyone likes good surprises! Of course it's better when it multiplies- when you're "in the flow"- and Babushka is basking in that river now and loving it. Wednesday November 14, 2011 11:50 a.m.
Congratulations! 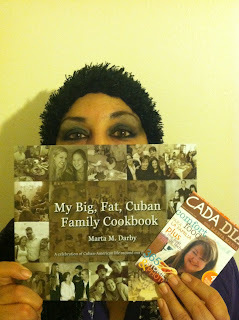 you are the winner(s) of the PAM cooking toolkit at Mama Latina Tips! Just to let you know you won the Cars 2 combo pack giveaway. Congratulations! Subject: You are the Suzuki Mom Fest Winner! You are the lucky winner of the Suzuki Mom Fest "junk in my trunk" giveaway! THANK YOU for being a loyal, valued reader to the blog! ( no idea how she does it -weekly postings me sacan la lengua and leave me beyond bushed. but my treasure is the handwritten note that she included with the cookbook. Mil Gracias to these 4 sites for their wonderful postings and giveaways. I'm riding the wave of winnings and looking forward to more! Yes, the joy is in the playing, but the dancing is in the winning!!! P.S. My little one read the post and said "You did not embarrass me, I'm used to it by now." Quick- somebody bring me my white fan!